Fat thighs and cellulite can be ridiculously frustrating. Quite often, those who train like machines and eat super clean still struggle with lower body fat. I only met Kristie 4 weeks ago. She contacted ProComp because she wanted to lose fat off her thighs, tighten up, reduce cellulite, increase metabolism and develop a healthy relationship with food (instead of yo yo dieting). Kristie had all the symptoms of an estrogen dominance with a sluggish metabolism. I can tell you now, in an estrogen dominant state, no number of squats, cardio or chicken and broccoli diets will get the lower body lean. It is also virtually impossible to farewell cellulite. CELLULITE, FAT THIGHS AND ESTROGEN. Cellulite and lower body fat are directly related to estrogen dominance and most often low thyroid functioning. Estrogen actually drives cellulite production. The thighs have a high number of estrogen receptors which bind to estrogen. So, I started Kristie with a Pro-Metabolic diet introducing nutritional and lifestyle strategies to balance estrogen and progesterone. Each week I increased Kristie’s calories whilst reducing cardio, in favour of weight training. Kristie has been extremely diligent and consistent and WOW, look at her results! 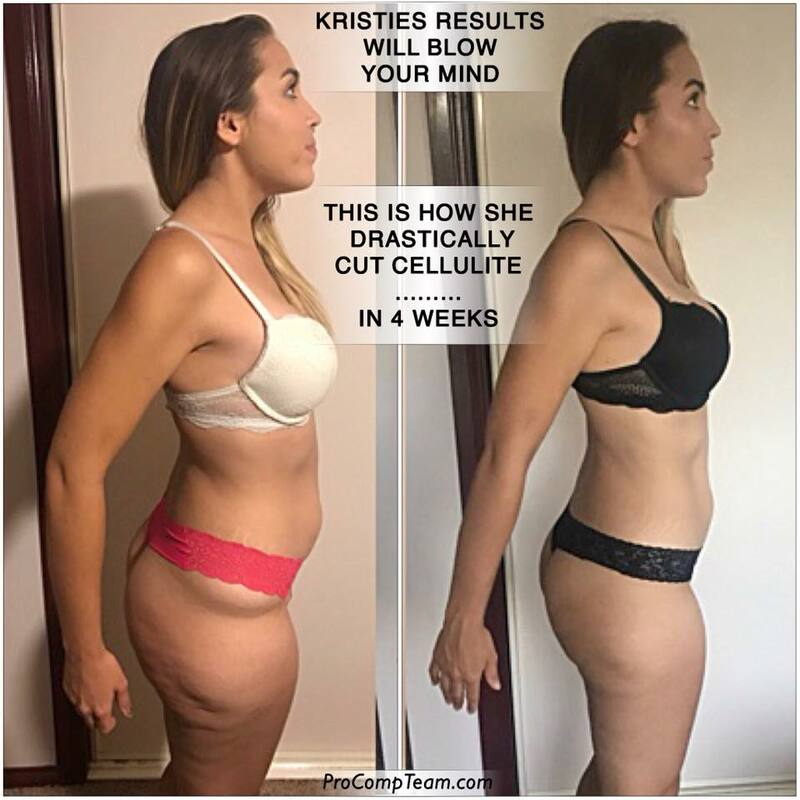 In just under 4 weeks Kristie has lost a staggering 3.2kgs, 6cm from the small of her waist and the visual improvements on her thighs is just astonishing. We are excited about Kristie’s results and these are only the beginning! 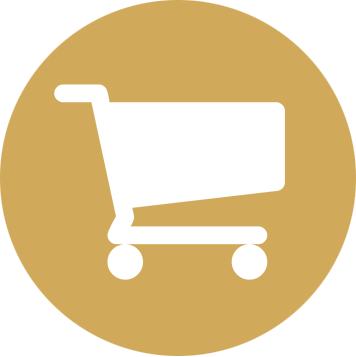 KRISTIE’S DIET – KEY POINTS. • Calories were calculated to suit Kristie’s current metabolic rate calorie range. • THE INCLUSION OF GELATIN. Gelatin is a protein product that is essentially collagen. Gelatin is high in glycine and glycine opposes estrogen. Collagen helps tighten and strengthen the skin by holding connective fibres in place. • PRO-THYROID FOOD. Such as ripe tropical fruit, orange juice, dairy products, quality protein, and saturated fats were introduced into Kristie’s plan to increase thyroid gland functioning. Higher thyroid gland functioning is associated with lower estrogen levels. • DAILY CARROT SALAD –The carrot fibre is an incredibly powerful hormone balancing food as it binds to excess endotoxins and helps to flush them out. • SATURATED FATS – Vit A (butter) helps increase hormonal synthesis. • BALANCED MEALS – To keep insulin balanced and fat burning constant. • DAIRY PRODUCTS – Such as milk and cheese were introduced to increase calcium to reduce parathyroid stress hormone. Calcium helps burn stubborn brown body fat. • AVOIDING ALL ESTROGENIC FOOD – Such as legumes, soy and goitrigenic food like broccoli and cauliflower. • QUALITY PROTEIN – Was prioritized to nourish the liver so it can do its job and detoxify excess estrogens. …..Sour dough with eggs, coffee, orange juice, gelatin, carrot salad with cheese, seafood, ripe tropical fruit, cottage cheese, potato with butter and chocolate milk. -Raising metabolic health and seeking hormonal balance is the best solution. -Eating pro-metabolic food will help to upregulate thyroid gland functioning and balance estrogen. Remember high thyroid hormone equals low estrogen. Thyroid hormone speeds up metabolism and flushes excess estrogen out of the body. So eat as much pro-thyroid food as possible. ← HOW TO PREVENT BLOATING.